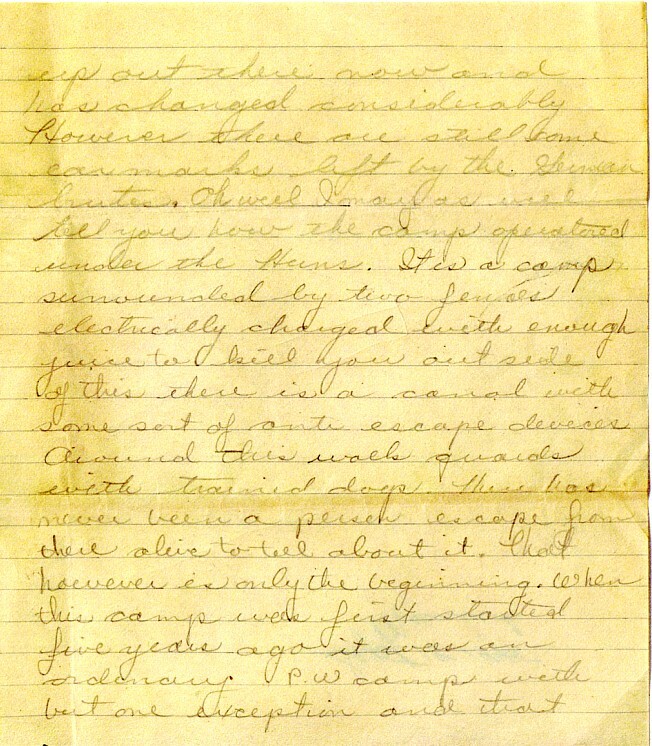 The letter below was written by a 21-year-old pilot in the US Army air corps shortly after he visited the recently liberated Dachau concentration camp in the summer of 1945. 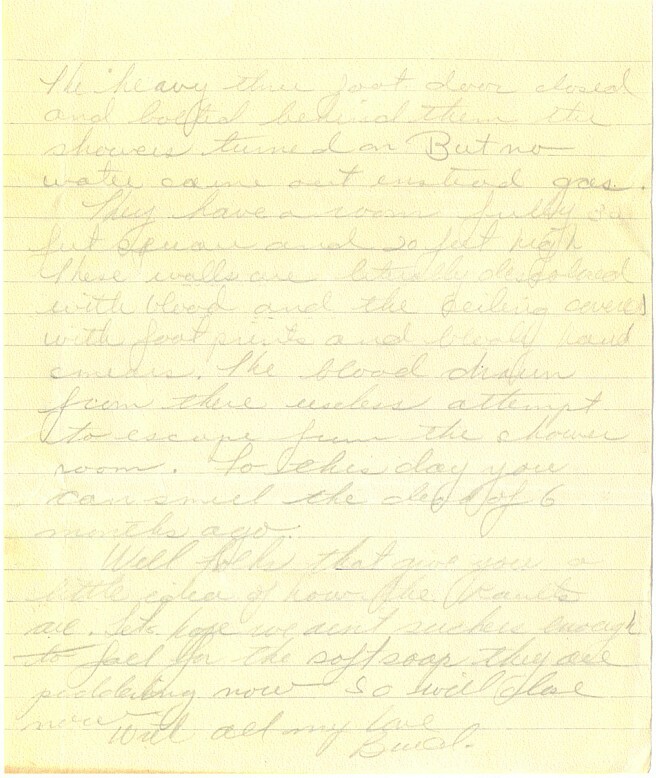 Robert "Brud" Monson was, according to his niece Cheryl (who provided me with a copy of the letter), "a man of very few words." 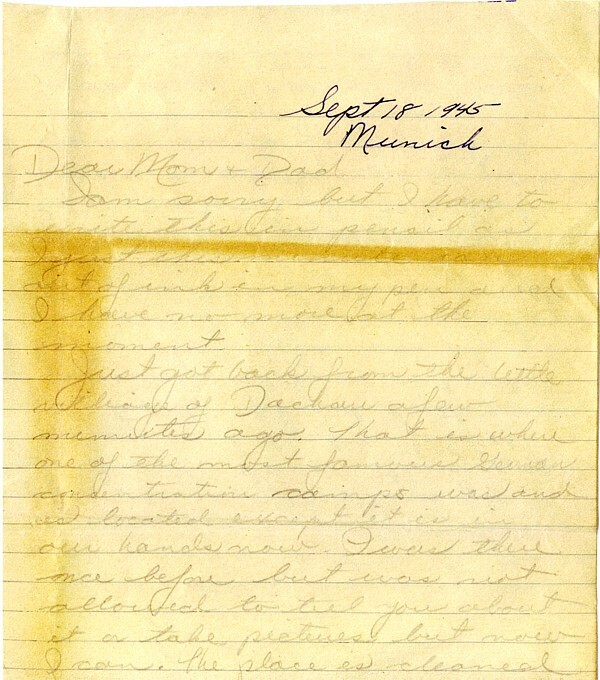 It would have been quite unusual for him to write such a long letter--a clear indication of how powerfully his experience in Dachau affected him. 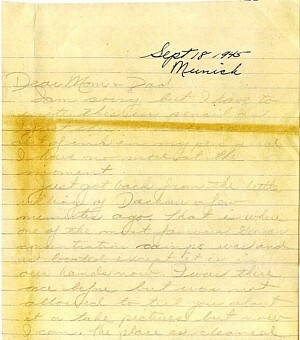 It was also the only letter about his service in Germany that she found in a trunk of personal effects her father inherited, an indication that Monson's parents also thought that this letter was a special and valuable document. 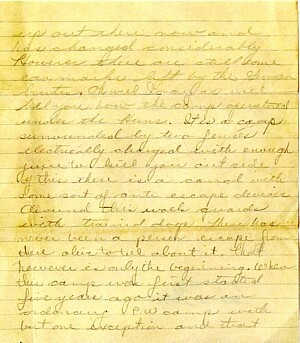 Monson enlisted in the US Army on Dec. 8, 1942. He served as a flight officer from Feb. 1943 to May 20, 1945. He was a co-pilot in the 494th Bomb Squadron, 344th Bomb Group, 98th Bomb Wing, 9th Air Force. While stationed in Europe he participated in 16 operational missions over Germany. After the war was over the 344th was stationed at Schleissheim, a suburb of Munich near Dachau (map), as a "peace-keeping deterrant." According to two websites, the 344th was stationed there from ca. 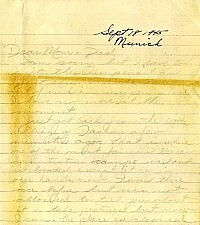 18 August 1945 (Sept.?) to 15 February 1946. See: http://usaaf.com and http://www.aviationmuseum.co.uk. The 344th's most notable deployment was to destroy the Utah beach coastal batteries on D-Day. 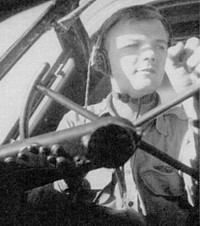 Another member of his bomber crew of five, Art Kramer, maintains a website with some anecdotes about that crew's air corps service: http://www.coastcomp.com/artkramer/. 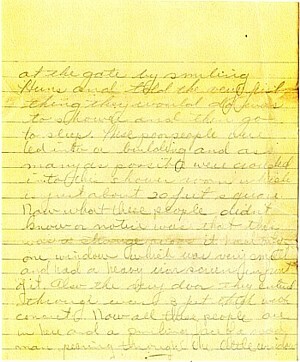 Two of the stories are about Monson: I'm Hit I'm Hit! 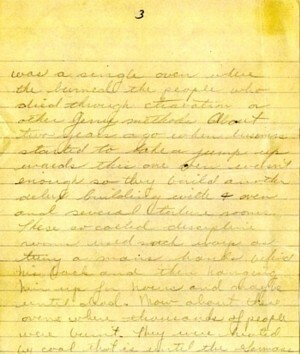 and Bob's Story. The former is humorous, the latter recounts the tragic accidental death of Bob's young girlfriend. 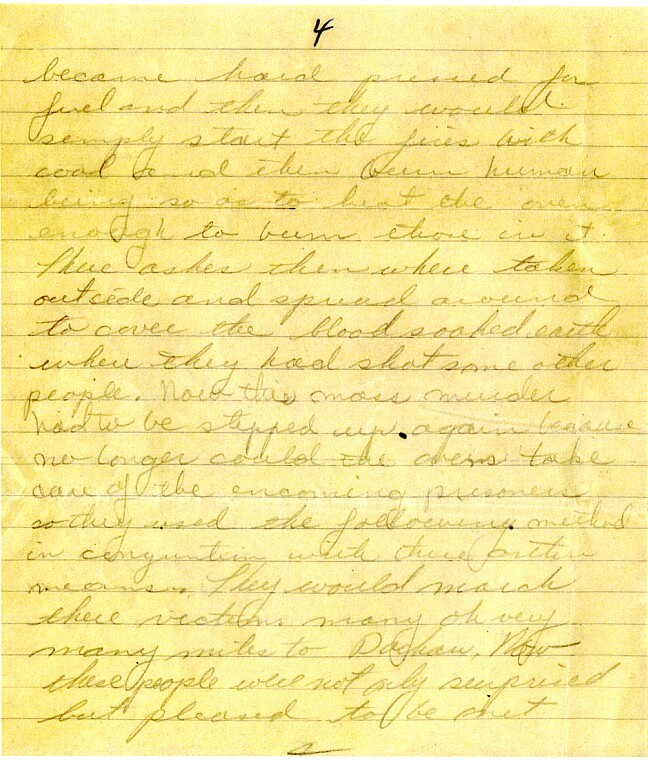 As Art told Bob's niece Cheryl in 2004, those 1945 visits to Dachau "were experiences never to be forgotten." I am sorry but I have to write this in pencil as I just this minute ran out of ink in my pen and I have no more at the moment. The first, small crematorium was built in 1940. It had one oven with two chambers (outside+inside). Construction of the large crematorium began in 1942 (a GI's Aug. 1945 photos; US National Archives photo). In some cases human fat running out of the pyres was used to stoke the fires; I do not know whether this is documented for Dachau. To this day the soil around the Dachau crematorium is indeed full of human ash. at the gate by smiling Huns and told the very first thing they would do was to shower and then go to sleep. These poor people were led into a building and as many as possible were crowded into this shower room which is just about 20 feet square. Now what these people didn’t know or notice that this was a strange room it had only one window which was very small and had a heavy iron screen in front of it. Also the very door they entered through was 3 feet thick with concrete. Now all these people are in here and a smiling face of a madman peering through the little window. Evidence suggests that the gas chamber at Dachau was used for trial gassings only. I don't think the walls are that thick. Perhaps a guide at the site told him about the procdure used in Auschwitz or Maidanek. The heavy three foot door closed and bolted behind them the showers turned on. But no water came out instead gas. They have a room fully 30 feet square and 20 feet high. These walls are literally discolored with blood and the ceiling covered with foot prints and bloody hand smears. 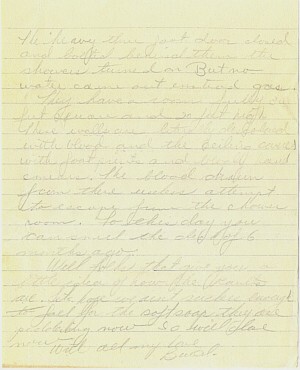 The blood drawn from the useless attempt to escape from the shower room. To this day you can smell the dead of 6 months ago. Well folks, that gives you a little idea how the Kaults [sic] are. Let’s hope we aren’t suckers enough to fall for the soft soap they are peddling now. So will close now. This other room was probably the morgue, where corpses were stored prior to cremation. It was literally overflowing with corpses at liberation. 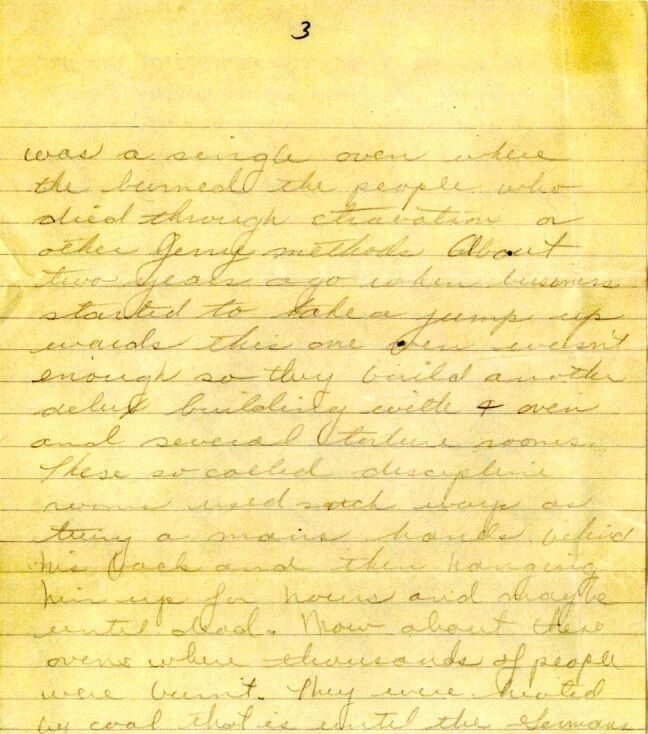 The shocked and outraged tone of this letter, and the fact that a young man of few words spontaneously sat down and wrote six pages, testifies to the shock and outrage that visitors who saw evidence of Dachau's atrocities experienced. 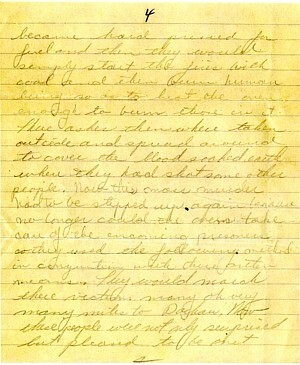 The historical details recounted in the letter indicate that information was available at the site. Since they seem anecdotal, someone probably gave Monson a tour, or there might have been some explanitory text available. 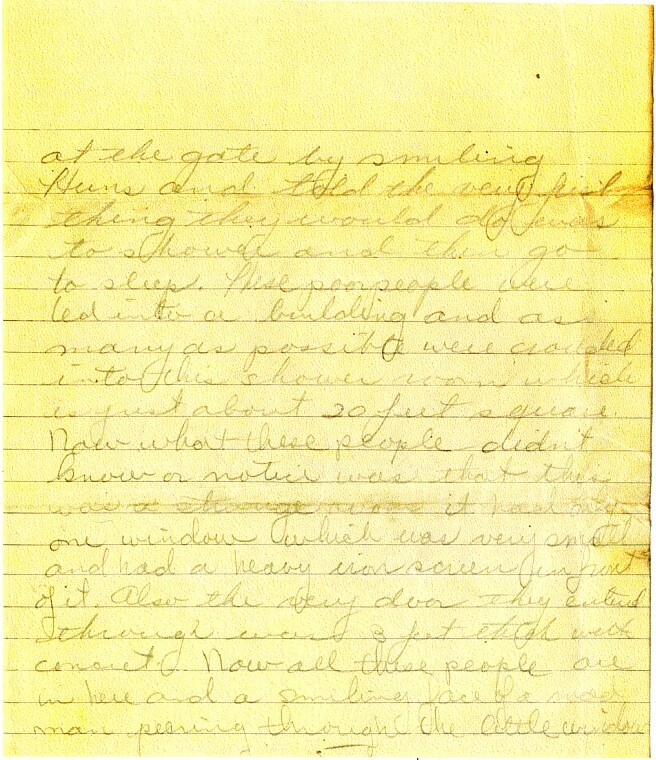 It is interesting that after his first visit Monson was not yet allowed to write about his experience. Perhaps that had to do with the fact that in July 1945 the US Army began using the camp to intern Nazi and German army suspects. An initial perceived need for secrecy may have been abandoned.